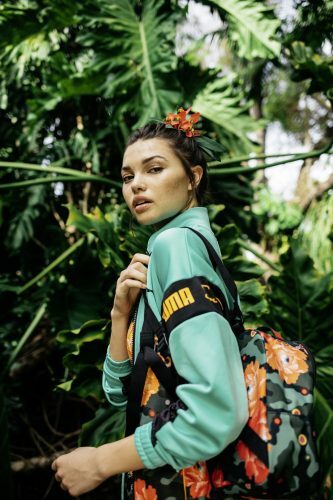 For its latest collaboration, sportswear giant PUMA has tapped New York-based artist Sue Tsai to put her spin on a limited edition collection. 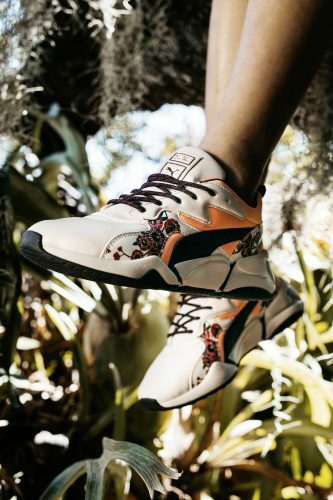 The SUE TSAI x PUMA collection features a range of bold floral prints and camouflage patterns. 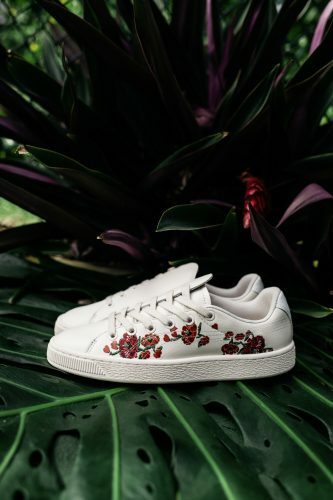 Vibrant cherry blossom bombs and lotus rocket ships explode onto a camouflage backdrop on streetwear apparels, as well as three iconic silhouettes – the classic PUMA Cali, the PUMA Basket and the PUMA Nova. The collection will be available for sale at Puma.com from 14th March. Remember to set your shipping location to US to get access to this special collection, and also enjoy free domestic shipping. Count on us to bring the items back from our US warehouse!